Bundle package will create a cached copy, so bundler in docker will not fetch all dependencies all the time. Create separate bundler data volume to perisist bundle between builds. Set BUNDLE_PATH to data volume. You can include this option just for development docker-compose.yml file and not to include in production. command: "bundle exec rackup --host 0.0.0.0 --port 9292"
command: "bundle exec rake environment resque:work"
command: "bundle exec rake environment resque:scheduler"
Use docker-compose.override.yml for development and docker-compose.prod.yml for production builds. Create docker-compose.yml which contains common services configuration. Use docker-compose.prod.yml as docker-compose.override.yml in production, so you will save necessary keystrokes, because docker-compose will use override.yml by default. Use nginx-proxy container in production and gem unicorn/puma or thin. 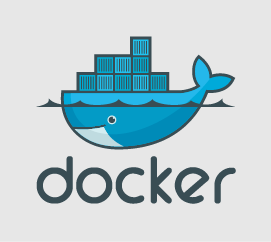 It will enable to use nginx-proxy with docker-compose v2 syntax. In case you're using CoreOS or systemd you can create container backups via custom backup service and Timer for that service.